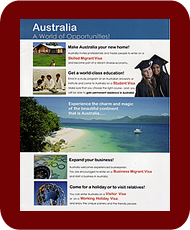 Over the past few years the Australian Government has introduced many reforms to the Migration Program, the most recent one being a new Points Test, which came into effect on 1 July 2012. To help you gain a better understanding of how things have changed, we have set out below the features of the current Points Test that make it different from the one that existed up to mid-2010. You will continue to receive points for Study in Australia (5 points), including regional study (5 points), community languages/NAATI interpreter/translator qualifications (5 points), partner skills (5 points) and the completion of an approved Professional Year (5 points). For an overview of how points are now awarded, click here. The number of points required to pass the Points Test has been lowered to 60. While you will still need to nominate an occupation that is on the Skilled Occupation List (the SOL), you get no points for your occupation. The Australian Government has determined that the occupations on the SOL are all occupations for which the Australian economy will have a medium- to long-term need, so that they are all of equal value, eliminating the need to award occupation points.This is one of the reasons why the pass mark has been lowered to 60. If you have a "recognized" overseas Doctorate or an Australian Doctorate you can claim 20 points. If you have a "recognized" overseas Bachelor degree or an Australian Bachelor degree you can claim 15 points. If you have completed a "recognised" apprenticeship overseas or have completed an Australian AQF III or higherThis means a Certificate 3 or 4, or an (Advanced) Diploma within the Australian Qualifications Framework. over 2 years you can claim 10 points. Business people in Australia have pointed out that this allocation of points does not adequately reflect the need for trade skills in Australia: it gives people with undergraduate degrees five more points than, for example, highly skilled electricians or diesel mechanics, whose skills are in high demand, particularly in the mining, manufacturing and construction industries. If the government takes note of these views, this aspect of the points test could change in due course. Work experience is no longer limited to specific occupations, but it must be in your nominated occupation or an occupation closely related to it. The points you can claim for work experience have been reduced, except when you have been employed for 5 years or more: the longer you have been employed the more points you get - up to 20. You must be under 50 (instead of under 45) at the time of application. However, if you are over 45 you do not get points for age. You get maximum age points (30) if you are between 25 and 32. You must have at least Competent English, but that does not give you any points. If you have what is called "Superior English", i.e. if you score at least 8 in each of the 4 components of the IELTS, you can now claim 20 points. If you have Proficient English, i.e. an IELTS score of 7, you can claim 10 points. If you are applying for a Subclass 190 visa sponsored by a State or Territory Government, you can claim 5 points towards the Points Test. If you are applying for a Subclass 489 visa, sponsored by a State or Territory Government or by an eligible family member, you claim 10 points.